Everything you need for top-notch quality and comfort is included in this Bramble brown 5 piece leather-match power reclining sectional sofa from RC Willey. 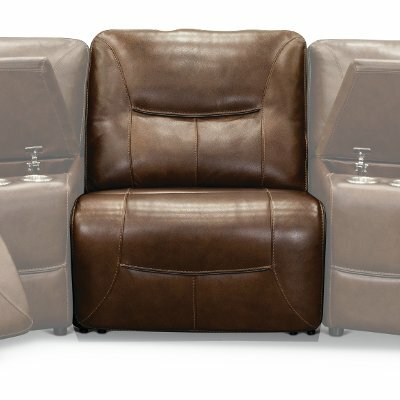 This piece from the Max collection provides 3 full reclining power seats using state of the art premium EVO power reclining mechanisms and the heavy duty steel components are tested to withstand a 450 lb load capacity. The leather seating is stylish and durable enough to last for years. It's fully padded with a handsome double needle stitch to finish it off. You can also purchase the battery pack and make it a freestanding piece with the ability to float in the middle of the room. 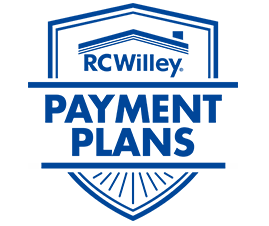 Let RC Willey help you make your home, your way. Includes 3 power reclining pieces, armless chair, and corner wedge. 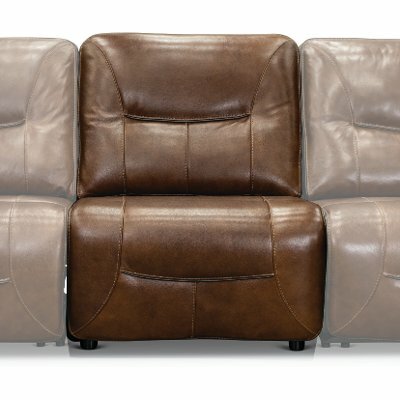 Leather-match is top-grain leather in the seating areas and matching performance fabric on sides and back. Wall Proximity To Allow Full Recline 1.5"